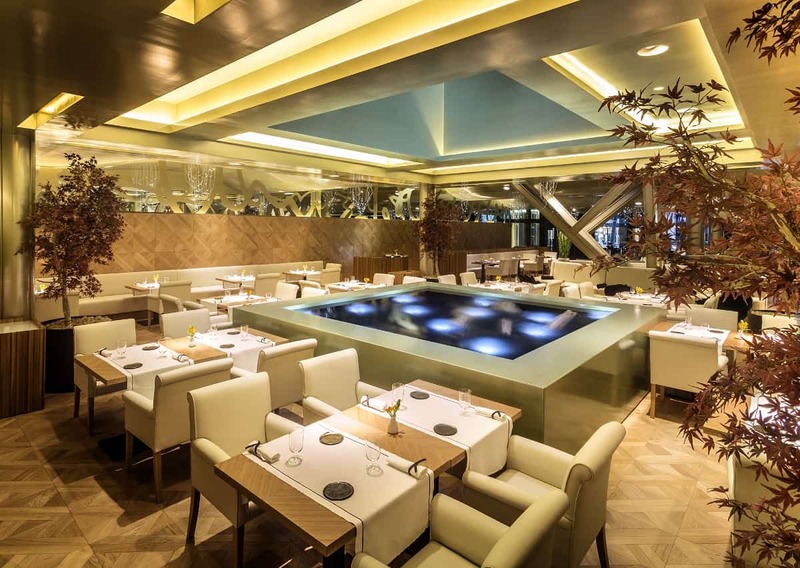 Restaurante ORIA offers haute cuisine in a modern, sophisticated yet casual setting. The restaurant is integrated into the lobby of Monument Hotel, situated on Passeig de Gràcia in the Eixample neighborhood. A high ceiling with a skylight floods the space with natural light and a central pool has lights illuminating from below. Chef Martin Berasategui offers cuisine inspired by the countries bordering the Mediterranean with a nod to his native Basque roots. 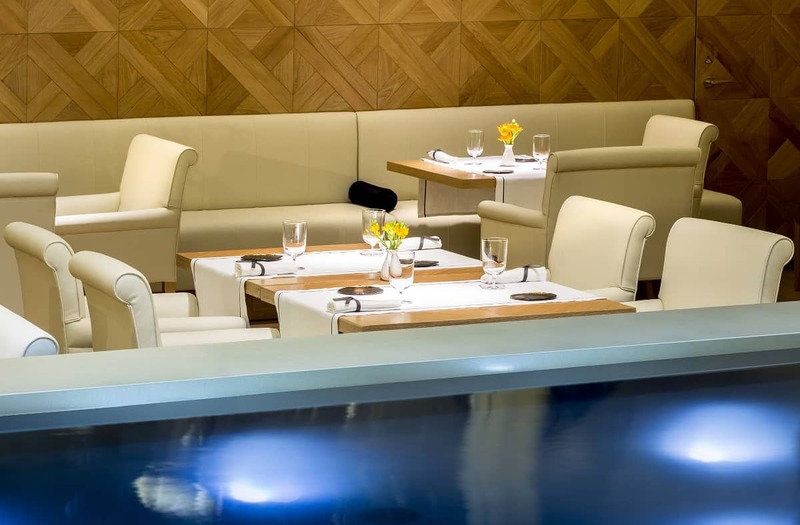 Berasategui holds eight Michelin stars in total, more than any other Spanish chef.